At least three 911 calls were made from Apple Park after people walked into the building's signature glass walls. Apple has since placed additional rectangular stickers on the glass panes in the building, to prevent people from walking into them. Apple did not immediately respond to a request for comment. Apple's new state-of-the-art, $5 billion "spaceship" campus boasts a huge glass-walled building with the latest in energy efficiencies, and a 100,000-square-foot fitness center, and sits amid an orchard, meadows and a pond. But the serene office space appears to have caused some trouble for several employees. According to transcripts obtained by the San Francisco Chronicle, at least three 911 calls were made from Apple Park after people walked into the building's signature glass walls. Two of the emergency calls happened on the same day in January - not too long after employees started moving into the building - and the third occurred just 48 hours later. In one incident, a male in his late 20s collided with a glass panel head first, in the middle of the day, cutting open his brow. According to a second emergency call later that day, a middle-aged man slammed into a glass window hard enough that Apple staff expected he would need stitches to close his wound, also on his eyebrow. Dispatcher: Tell me exactly what happened. Caller: Um, I walked into a glass door on the first floor of Apple Park when I was trying to go outside, which was very silly. Dispatcher: You keep breaking up. You walked through a glass door? Caller: I didn't walk through a glass door. I walked into a glass door. Dispatcher: OK, one second. Did you injure your head? Caller: I hit my head. Foster and Partners, the architecture firm behind Apple's headquarters, did not respond to a request for comment. 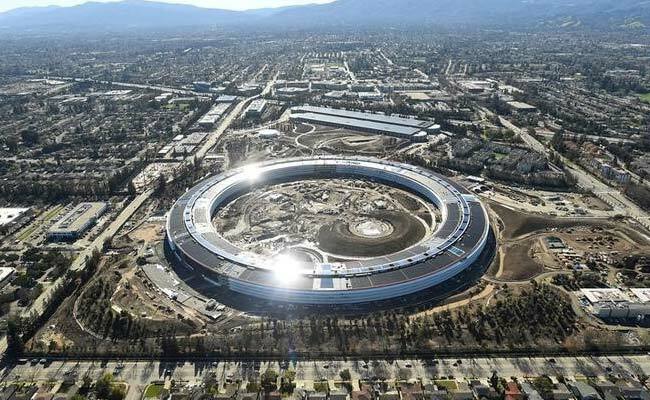 The building's curved glass design, backed by Apple co-founder Steve Jobs, was meant to inspire creativity and collaboration, with employees taking in the California landscape and bountiful green space. According to the San Francisco Chronicle, Apple has since placed additional rectangular stickers on the glass panes in the building, to prevent people from walking into them. Apple did not immediately respond to a request for comment.